And that spot is right in my skull. 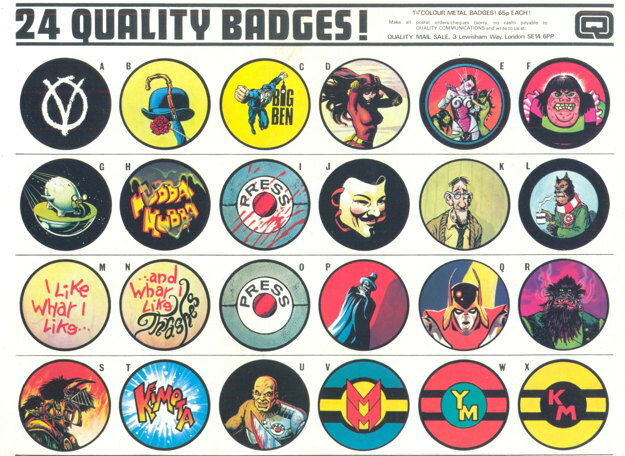 So longtime readers remember how I love buttons. Hoo boy, do I love gathering pinbacks of all kinds to admire and display. Of late, my button acquisition has slowed down a bit, as I haven’t had the time to properly maintain the collection, though a few here and there still end up in my hands just as a matter of course. I bring this up because I recently purchased a run of the British Warrior magazine, famous of course for being the initial home for the Marvelman revival and V for Vendetta , early and important works by writer Alan Moore (with artists Garry Leach and David Lloyd, respectively). Included in the batch was a copy of the Marvelman Special , which I’d previously discussed on this site at length several years ago (though honestly it feels like I just did so…time flies, and all that). Those are some snazzy pins, and would look great on my blazer or my beanie. 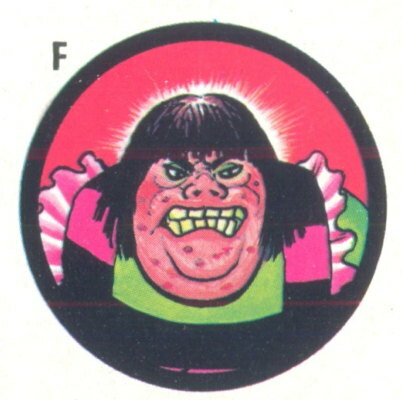 Alas, all I have is this ad to remember them by (though pal Dave suggested I make them into pogs, and I don’t know if I should thank him or hate him for even bringing that up). 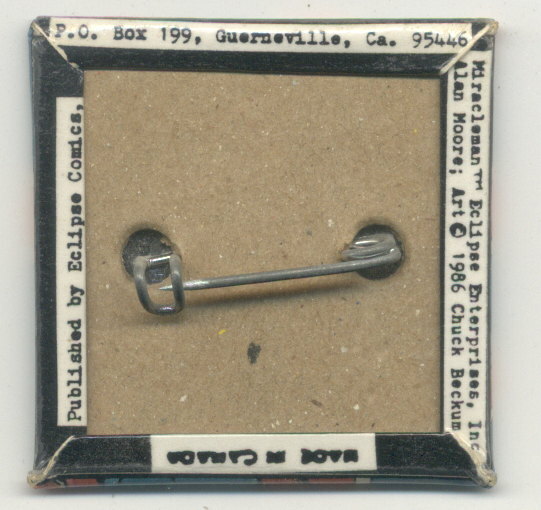 I’m going to guess that anyone who actually wore one of these was poked right in the pinback several times a day. Probably had a good bruise beneath by the time the poor sap got home. And if you haven’t thought about Zirk in a while, don’t you think it’s time you have? A little wear and tear on the button, to be sure, but still a beloved item in the collection just the same. 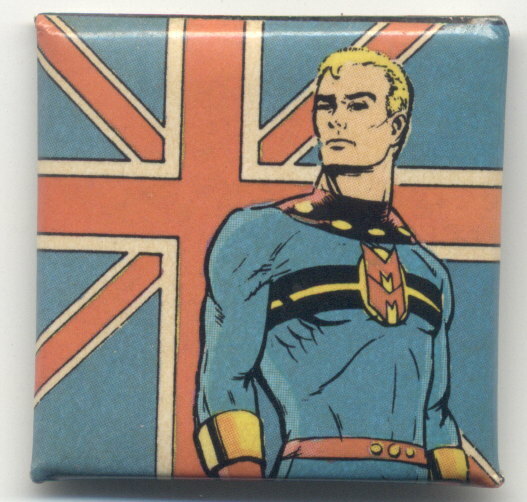 Hopefully I can track down some of those other Marvelman pins at some point…I recently told a pal that I’ve been trying to reduce the amount of knick knack-y detritus in my home, but I have a soft spot for Marvel/Miracleman, and for pinbacks, and especially for the two combined. Apparently the buttons were made from printing up extra copies of the covers that had those ads, cutting them up as needed and pasting them in blank buttons. So technically, you already to have the buttons if you have the back covers. Or you effectively could if you get some blanks of the right size and can bring yourself to cut up a copy.